While the system requirements may not look much this game may not run that well even on really high end systems. Certain graphical settings may need to be turned off before playing. Players are unable to access the main menu right away once the game starts. On the very first launch they'll have to sit through a small cutscene before they can change their settings. The game does not feature a main menu, only a sub menu exists which has to be opened while playing. The intro screen along with its splash images are completely unskippable. Once these are done the Options menu can finally be accessed. By default the VSync setting is set to On and the Max FPS value is set to 30 FPS. The framerate value should immediately be changed to either Max or 60 FPS. Not changing these values may cause some issues on lower end systems, and it may also render the game completely unplayable. If the framerate is too low in order to change any graphical settings then do the following. 1. Open TKGRAPHICSSETTINGS.MXML with a text editor located in the Configuration file(s) location. 2. Change the desired settings to the desired values. Values such as Low, Medium and High can also be used if needed. The graphical settings feel incomplete seeing as the chromatic aberation, lens flare, vignette and other similar effects cannot be disabled. The game also lacks a very needed draw distance setting, there is no fog in place to hide the pop-in and this might bother certain players, rocks will often appear out of nowhere because of this, the show hud setting is also bugged, every time the game is restarted the setting always resets, some hud elements will bug out when this setting is disabled, most transitions will still be present but the text which was supposed to accompany them will be missing. The show hud setting doesn't completely disable the user's interface either. In order to apply any graphical changes the game has to restarted every time. The only graphical options which can be modified without restarting the game are the Antialiasing, VSync, Max FPS, Field of View and Show HUD settings. This value is set to 60Â° by default and it can only be set to a maximum value of 100Â°. There are two main settings, an on foot and a ship field of view, both of which can have a fairly major impact on the overall performance. If needed a custom field of view can be set by following these instructions. On lower end systems the on foot field of view can be extremely intensive, the ship's field of view also has an extremely large performance impact when combined with other graphical settings, ideally it should be kept at a value of 60Â° in order to avoid some rather game breaking issues and to keep the framerate higher and more consistent. The framerate while inside a ship can also vary pretty wildly when compared to the on foot framerate. At lower framerates the ship's controls will often become unresponsive. Any actions will also have a delay to them, the spacecraft will often move and swerve on its own meaning that aiming while in combat will be nearly impossible. The antialiasing techniques present in the game are very weak. Both the FXAA and SGAA settings look almost exactly the same, all they do is barely blur any jaggies. There's very little point in keeping this value on. This setting mainly affects how objects and environments look like, even when using the highest value this setting shouldn't be too intensive. Due to the texture's tiny size water surfaces and other ground textures will feature extremely visible tiling patterns, which cannot be masked by increasing the graphical setting. Planets lacking any surface foliage will also end up looking fairly bare and simplistic to the point where the look of the game will suffer as a result. This setting has by far the biggest visual impact across the whole game. It should at least be set to Medium for a more optimal experience. Lower quality textures might still be present around the game, even when using the best quality options. The framerate can vary pretty wildly depending on what value the field of view is set to and whenever the player is inside the ship. Otherwise setting this to Medium should be fine on most systems. This setting mainly controls how the shadows will look like. Occasionaly a banding effect might appear, this can possibly happen on most values. This setting can be really intensive, lower it if needed. The shadows will also dinamically move as time passes by, this setting has a very large impact on the performance of the game. Slower systems should ideally set this value to Low. Currently there is no way to disable the dynamic shadows. Shadows cast over water surfaces are also affected by this setting, when seen from far away they'll be full of holes which fill up as the player gets closer. This should be fairly self explanatory, this setting mostly comes down to user preference. This setting mainly affects an object's level of detail when seen from far away, it has a minor visual impact, if a higher framerate is needed ideally use a value of Low. For the most part this setting will not change the game in any noticeable way. No separate setting exists for the level of detail or for the draw distance. While the framerate hit may seem minor this setting could still have a slight impact on the overall stability of the game. The Low, Medium and High settings look almost exactly the same, even on the lowest value the game will end up using pretty high quality reflections. Any differences are very difficult to spot while playing. Water surfaces seem to be unaffected by this setting. There is very little point in keeping this setting on a value other than Low if the game is running poorly. Lowering this value might also improve the framerate while piloting a ship. These are the optimal settings used for this system for usual gameplay. These settings are balanced in order to provide the best performance and visual quality possible. Among the most performance intensive choices are On-Foot Field of View, Flight Field of View, Shadow Detail and the Reflection Quality setting. lower any of these options in order to gain a significant performance boost if the game is running poorly. Constant micro stuttering was present while playing, no matter what settings were used. There are currently no solutions for the stuttering issue, wildly moving the camera or simply walking forward might be enough to trigger this problem, which may render the game unplayable for certain players. While playing the game at a comfortable framerate is possible there is one large issue which may affect the overall performance on most systems. Piloting a ship causes the framerate to drop instantly, even if the on foot framerate is perfectly fine, this can be mitigated by lowering the Flight Field of View value to 60 in order to reduce the stutter and improve the framerate. At lower framerates the ship controls often became unresponsive and delayed, the ship often steered by itself, meaning that any wild framerate variations always ended up affecting the controls somehow. This effect can vary between systems, this may render the game completely unplayable to some. As a last resort lower the game's resolution. Otherwise, other than lowering the graphical settings there isn't much that can be done. Microstuttering negatively impacting the overall stability, delaying the time it takes before a frame is drawn. Because of this odd issue picking the desired optimal settings is a little bit more difficult, when entering any ships assume that 1 FPS to 10 FPS are automatically lost. Ideally lower the more intensive graphical settings seeing as either way, the game will end up looking the same for the most part. Even higher end systems which are facing such issues can stick to a more optimal set of settings. Overall the only settings which should be set to values higher than Low are the Texture Detail setting to High and maybe the Shadow Detail setting to Medium although even Low will most likely suffice either way. System bugs can also be triggered by the game, which may affect Windows itself. When Alt+Tab is used during startup in a borderless mode the game may often fail to maximize itself, the borderless effect ends up being applied to other windows, completely breaking them until they are closed. Doing this also made the game run at a lower incorrect resolution. This problem doesn't necessarily make Windows unstable, simply close the affected windows or restart your system. The Alt+Tab key often stops working if the game is running in a Fullscreen mode. In order to solve this issue on the Steam version of the game, find No Man's Sky in the Library and select the Play button, then nagivate to the Options menu and set Window Mode to Borderless, then restart the game. Strangely enough there's an NVIDIA only setting that's turned on by default even while using an AMD GPU. Disabling this setting didn't help in any way. Fairly standard options, nothing outstanding. Although most special keys or any extra mouse buttons cannot be used. Binding the F1 - F12 keys to an action causes the keybinding input field to completely break. The keys which have been set can be used with some specific buttons, the Enter key will break the input field but the key itself can be used. The game fails to identify the correct key and instead if leaves no text in the input box. The menus themselves are simply horrible, having to hold the Left Mouse Button or the E key in order to apply or do anything is ridiculous, every action has this long delay to it. The inventory system also feels terrible to use because of this, in order to craft things different separate windows have to be opened, these menus also have their own separate keybinds, new players are going to find this system incredibly unintuitive and extremely awkward to use, doing anything in the inventory quickly gets really tedious. This system also doesn't work too well with a controller. moved around while certain other items cannot, the user interface behaves very inconsinstently. Currently ship flying has to be by far the least engaging part of the game due to the controls not feeling nearly precise enough. It doesn't help that the game features an anti-crash system, meaning that the ship will awkwardly try to adjust its orientation instead of letting the player crash into a tree, this system very often gets in the way of actual gameplay, precise movements are really difficult to achieve, and the space experience won't be a very fun one with the mouse. Currently these assists cannot be disabled. Strangely enough players who use a controller do have the ability to look around the ship's cockpit, however on the PC version the mouse only steers, there is no separate key in order to enable a Mouse look mode while flying around. Players are not able to freely control their altitude and speed at their own will, the lack of control will turn off a lot of players who were expecting a system similar to the one in Elite Dangerous. Another large annoyance present in the very beggining parts of the game. Whenever a player starts a new game for the first time their mouse will be taken over for a minute, it'll very slowly rotate around before granting control to the player. Once the player has gotten past the splash screens, the loading screen and the cutscene they can finally access the options menu. This is a huge issue seeing as not allowing players to change their graphical settings before they can play the game itself essentially stops them from changing any graphical settings which might be too intensive for their system, meaning that they are pretty much locked out of the game. Pretty standard audio settings, although some other menu items have been added in here, the mouse sensitivity, the load and save system and strangely enough the Quit button which has been tucked away in this sub menu. 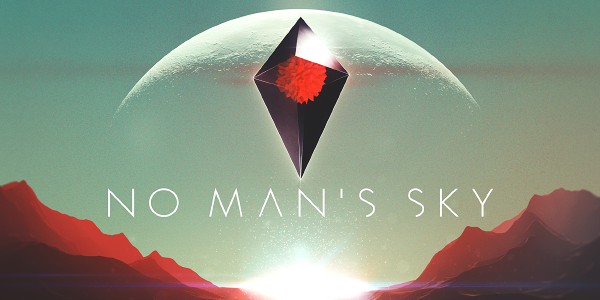 No Man's Sky suffers from a very weak release, featuring an unfinished user interface which isn't very mouse or keyboard friendly and some strange default graphical settings which in turn make the game unplayable on slower systems. The ship controls often become completely unresponsive depending on what framerate the player has, there are constant performance issues and the framerate is often halved by simply getting into a ship. There are constant microstuttering problems even while playing on an SSD. Additionally, the video settings are unclear and there aren't too many graphical options to choose from, something very important for low end users. Players cannot access the main menu as they launch the game in order to change the problematic graphical options, which essentially means that really low end systems might actually be left with an unplayable game. Some of these issues could've been solved very easily but for some very odd reason the game shipped with some very strange default values, which in turn made the game unplayable to nearly the whole playerbase until the developers themselves changed those specific settings after the game was released, even then the game still suffers from large performance issues, higher end systems struggle to properly run the game at acceptable framerates and lower end machines are stuck with a game which simply doesn't work that well or doesn't work at all, no matter what they do. The field of view had a strange effect over the game's performance, it is unusual how low this setting is set to on the console release of the game. The Quit option is also tucked away in the Options menu, along with the mouse sensitivity and some other miscelaneous settings which have been left in there although this is a minor issue. Before playing set the VSync to Off, the Frame Limiter to 60 or Max, the Flight Field of View to 60 and any other settings other than the Texture Detail to Low in order to make the game playable. Ideally players who are interested in this game should wait it out and see if any of these issues will ever be solved. Otherwise purchase the game on a sale. Great report, RaTcHeT302! This outlines the problems with the game very clearly and succinctly, and is written fairly well. It's okay, it isn't too amazing, I wanted to cover some more stuff but I focused on what was more important because of the deadline. I wanted to remake some of the screenshots seeing as some of them are so ugly, and overall there's a bunch of stuff which I had to leave out. If only we could get pre-release copies instead, that would help a bit. The FoV isn't in degrees, it's in some arbitrary number. 100 FoV in the settings menu is like 70 at most in actuality. Vsync is double buffered which is why the performance drops with it on, need to force triple buffering. No need to disable it and get awful tearing. And the FPS cap should be as high as it can go, since it's also bugged and limits it to 83% of its set value. That website is extremely recent, some of those mods came out like a day ago, and even then the idea of the article was to present the game as it is, I shouldn't have to tell users to get mods just to fix broken or poorly designed features in a game. I haven't found any proof of the resolution thing or some other stuff seeing as I have no way of replicating certain issues, I really don't rely on other people for this type of info unless I can fact check it myself, I honestly would rather not even mention it if I'm not sure about it, I do test anything I can to make sure the problem exists if someone talks about it though. I was going to check if the render thing was real but I kinda ran out of time. I did notice that the Max FPS value went to 160 only though, but I added that on the wiki article for the game instead. The mods should go there too. How do you verify which type of VSync the game is using? I really need some proof for that, and I thought degrees was more of a generic thing, I though the field of view worked fine, the biggest problem was about it affecting the game's performance if anything and the fact that by default it's set to a really low value, I'll have to think as to what other measurement to use or not use, I assumed degrees was a very generic measurement for this type of thing, I didn't feel like the measurement mattered that much though. I was actually going to check if this FOV is of a different type and I was willing to compare it to the FOV used by other games (such as Bad Company 2), but I only had two days to do this so I wasn't able to test that out. TL;DR: Thanks for mentioning this stuff either way though. I knew about it, but I didn't have enough time to fact check everything, the mods are very recent, I used some myself but I would rather tell users what the game currently is like before they buy it. It's been fixed now as of the experimental build update last night (at an expected performance hit), so it won't matter once the patch hits the stable branch. VSync's buffering is verifiable by just using it. If your game's framerate drops below your monitor's refresh rate at any time, even by 1 FPS, it will go to HALF the refresh rate if the game is using double buffering. If it's triple buffering, it will drop to 59FPS instead of shooting to 30, for example. Triple buffering introduces some input lag, but it's the accepted method of vsync as a halving of the framerate is pretty much unacceptable. And yeah, we don't really know what the degrees of the FoV options are unless we test it (can get a rough estimation if you do the camera rotation thing. Look at a specific spot, note where the side of the screen is, move the camera so it's on the other side of the screen, count how many moves it takes to do a full 360Â° rotation, do some math guesstimation). The numbers are definitely arbitrary though, as they don't make sense for hFoV or vFoV. I myself set it to 140 in the config file, which makes it be around 100 ingame. The stock "100" makes me sick, which I believe is around 65Â°. As for the mods, yeah, I was mentioning it in passing in case anyone read down here. I'm sure some will get added to the wiki if the developer doesn't change things.